Almost 1,300 archeologists, museum directors and historians have signed a letter to the Obama administration protesting the destruction of Native American burial grounds by the builders of the controversial Dakota Access Pipeline (DAP). 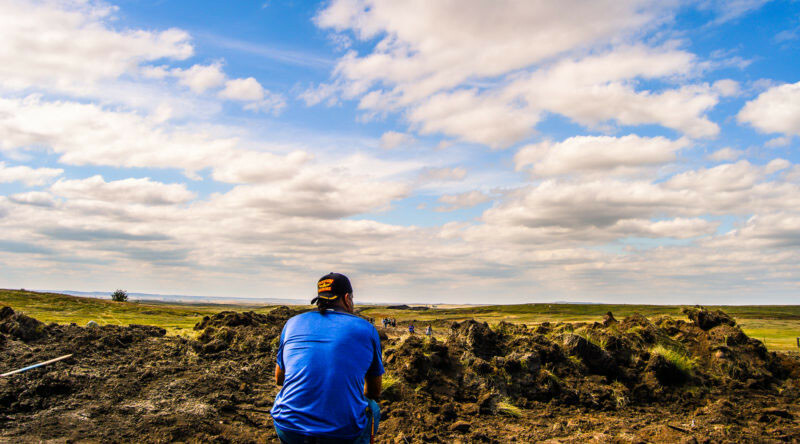 The Standing Rock Sioux Nation identified a location near Cannonball, North Dakota as a recently discovered ancient burial site and made a court filing to protect it September 3. Within hours, employees of Energy Transfer Partners showed up – flanked by private security and guard dogs – and bulldozed the site, says the letter signed by 1,281 archeologists, anthropologists and museum professionals. “Many of us put countless hours into developing the Native American Graves Protection and Repatriation Act (NAGPRA) to prevent burial desecration of this type, yet the pipeline was approved without a full Environmental Impact Statement (EIS), and the cultural resources survey did not involve proper consultation with the StandingRock Sioux Tribe and other tribes in the region,” said the letter, addressed to President Barack Obama, the United States Department of Justice, the Department of the Interior, and the Army Corps of Engineers. Initiated by the Natural History Museum, the letter has been endorsed by curators, museum directors, academics and historians, ranging from the Smithsonian National Museum of the American Indian and the Chicago Field Museum to institutions in Brazil, Canada and Micronesia. On September 9, a federal judge in Washington, DC rejected the request by the Standing Rock Sioux to halt the DAP, saying that the federal authorities had “likely complied” with the National Historic Preservation Act and that the tribe had not shown it would suffer injury from the construction. Citing “important issues raised by the Standing Rock Sioux,” the Obama administration ordered a halt to construction around Lake Oahe by the Army Corps of Engineers. The government also asked Energy Transfer Partners for a “voluntary pause” to construction in areas near the lake. That has not prevented the company from continuing its work elsewhere, however. 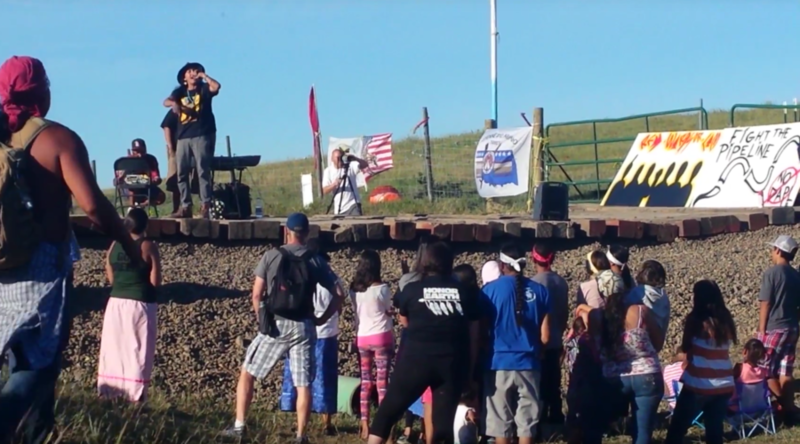 On September 14, more than 20 protesters were arrested at Glen Ullin, ND, about 70 miles from the Standing Rock Nation’s main protest site. Energy Transfer has shown “total disregard for our rights and our sacred sites,” said Standing Rock chairman Dave Archambault II, addressing the United Nations’ Human Rights Commission in Geneva on Tuesday. Archambault was in Washington, DC on Thursday, testifying at a hearing convened by the House Democrats. The DAP “treads over everything they hold sacred: their lands, their sacred waters, their ancestors’ graves in some cases. It’s really dismal that none of that was part of the review process,” Rep. Jared Polis (D-Colorado) told RT America, calling the pipeline an “even worse infringement of tribal sovereignty and our environment” than the Keystone XL, rejected by the Obama administration on environmental grounds in 2015. 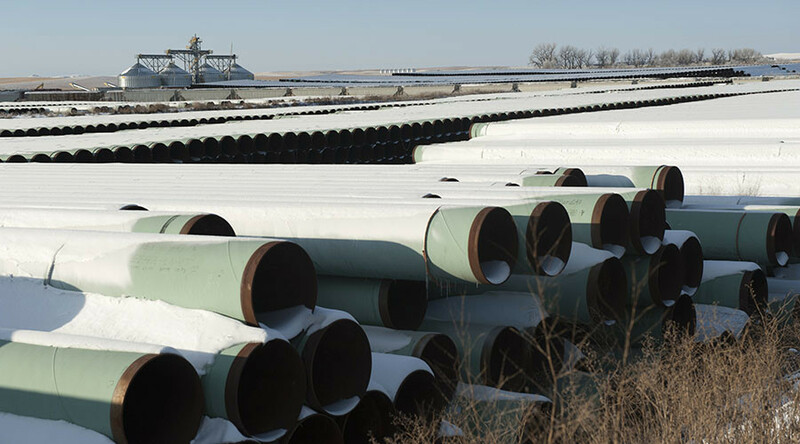 If completed, the 1,172-mile pipeline would traverse four states and is expected to carry nearly half a million barrels of crude oil a day from North Dakota’s Bakken oil fields to an existing pipeline in Illinois.